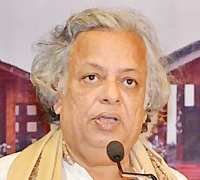 Born on 24th June, 1949, Mr. Shourabh Mukerji is an alumnus of Calcutta Boys School and St. Xavier’s College, Kolkata. He began his public career as a volunteer with the Late Mother Teresa & Canon Subir Biswas, helping rehabilitate refugees during the Bangladesh Liberation War in 1970. In 1967 he founded the Young Men’s Welfare Society (YMWS), an educational foundation, which has imparted primary and elementary education to 75,000 underprivileged children, and initiated a rural reconstruction programme in 32 villages in South Bengal. He has pioneered various civil society initiatives in Kolkata, particularly capacity building among the urban poor since the early 70’s. He began the ‘second school’ movement in the city which now benefits a few thousand poor children. He has also helped the State Govt., Ford Foundation, Indian Oxygen, and Bank of Baroda to initiate their social projects aimed at improving the quality of life among the urban and rural poor. The YMWS have played host to the Late Mother Teresa, HH The Dalai Lama, and the Very Revd Dr John Hall, Dean of Westminster, among others. Mr. Mukerji is also the Founder Chairman of Children’s Foundation and Young Horizons School (affiliated to the CISCE, New Delhi). He has travelled extensively in Europe and Asia on speaking engagements on social & development issues. He lives with his wife, Nanoo, in Kolkata. They have a daughter who has graduated in Sociology from Presidency College and Masters in Education from Tata Institute of Social Sciences, Mumbai.